Situated on the Gingin Brook with underlying calcium rich limestone, and freshwater springs irrigating the paddocks, both essential ingredients for promoting healthy bone and animal growth. The fact that Limestone Park has bred five Derby winners is testimony to this. 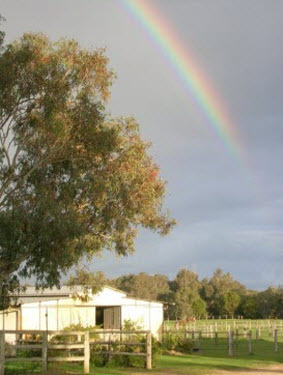 This property, with its fertile year round green paddocks and proven breeding history, is too valuable not to be used to breed and raise quality horses on, hence we offer limited spelling and broodmare agistment. Our supervision is 24hour and all specific needs can be catered for. Please contact us if you would like to know more about our stud.